The Festival d’Art Sacré returns to Antibes this coming September with an exciting programme in prospect for the three week event. Running from Friday 6th to Sunday 29th September, the 22nd Festival d’Art Sacré d’Antibes will definitely be of interest to classical and chamber music enthusiasts. Held in a variety of locations around Antibes and environs, including the Cathedral, the chapel of Saint-Bernardin (celebrating 500 years) and the Galerie des Bains-Douches in Antibes, and the Church of Sainte-Anne Saint Martin in Vallauris, the festival has grown in popularity over the years, and for this edition has the honour of welcoming the choir of New College in Oxford, one of the biggest choirs in the world. ‘L’âge d’or de la trompette sacrée’, featuring Romain Leleu (trumpet), Cécile Agator and Cécile Peyrol-Leleu (violins), Sophie Groseil (alto), Renaud Guieu (cello), and Yann Dubost (double bass). They will be performing excerpts of works from Neruda, Vivaldi, Fauré, Gluck, Puccini, and Tchaïkovsky, amongst others. There will also be a special musical vernissage of Stéphane Rullière’s exhibition at 6:30pm in the Galerie des Bains-Douches. ‘Sonates de Rossini’ with Philippe Depetris (flute), Stéphane Rullière (violin), Daniel Dato (alto), and Eric Courreges (cello). ‘Johanne Passion’ (BWV 245) featuring Johann Sebastian Bach’s ‘St. John Passion‘, with the Orchestre Régional PACA, the Chœurs ‘Musiques en Jeux’, the Chœurs du Festival, and the Ensemble de la Société de Musique ancienne de Nice, under the musical direction of Alain Joutard. Maud Gnidzaz (soprano), Patrick Garayt (tenor), Michaela Chetrite (harpsichord and organ), and Sybille Schuetz-Carriere (viola) also feature. ‘Les âges prestigieux de la polyphonie chorale’ with the Choir of New College Oxford, directed by Edward Higginbottom and featuirng the works of Du Caurroy, Palestrina, Byrd, Tallis, Des Prez, Gibbons, White, Allegri, Bednall, Dove, Whitacre, Britten, and Poulenc. ‘De chapelles en palais’, a celebration of 16th century Renaissance music from European courts, with the ensemble ‘Les Voix animées‘, featuring Anne-Claire Baconnais and Adèle Pons (sopranos), Laurence Recchia (mezzo), Raphaël Pongy (countertenor), Eymeric Mosca (tenor), Luc Coadou (baritone and also the musical director). The weekend is given over to the celebration ‘Les 500 ans de la Chapelle Saint Bernardin’ organised by the parish of Saint-Armentaire in conjunction with the association Amis de la Chapelle Saint-Bernardin. High mass will be celebrated at approximately 6:30pm on both days, with vespers and a procession (with Académie Provençale de Cannes) on Saturday evening from 5pm. 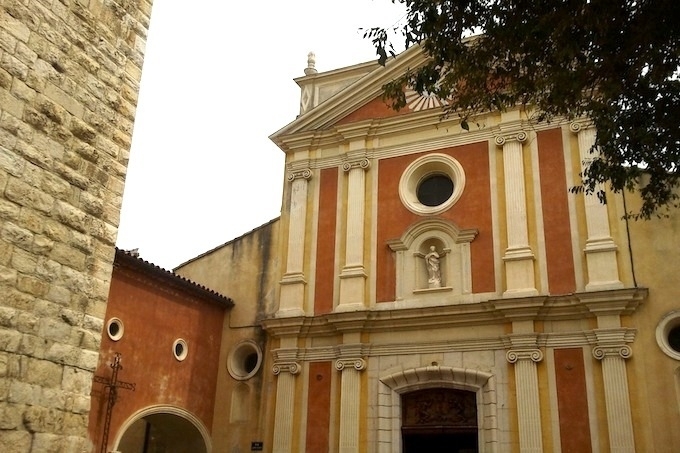 On Sunday, there will also be a procession involving the penitents of the cathedral, and the Compagnie ‘Sacco’ de Ceriana Polyphonies sacrées de Ligurie occidentale will be participating in the mass. Tickets for the festival range in price from €22 to €27.50, and may be reserved online, or from the local Tourist Office (telephone 04 97 23 11 11).